​Networking can be a powerful way to grow your business, helping you increase, sales, confidence and success. Yet when you’ve a million and one jobs to do how can you ensure you accomplish everything you set out to achieve? Make The BWN Success Manual your networking partner to get maximum benefit from every event! Effective follow-up, learn more, take action, stay focused and accountable, get organised and keep it all in one handy book! 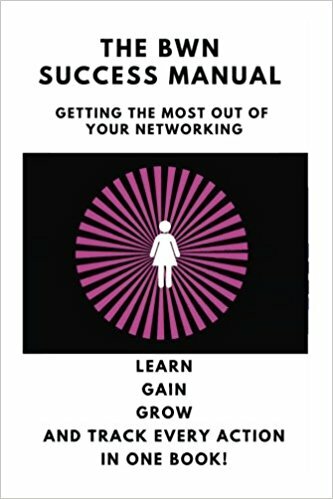 “A must for every busy business woman!” Networking can be a powerful way to grow your business. When you get it right, networking can help you; Increase sales. Increase confidence. Overcome self-doubt. Override that negative internal voice. Keep you motivated. Keep you focused. Help you learn new skills. Keep up to date with the latest technology, ideas and legislation. Meet like-minded business owners to bounce ideas off of each other. Showcase your products and services to new audiences Develop new products and services. Road test ideas. Develop a strong brand. Create new revenue streams. And so much more…. However, it takes up precious hours in your day, therefore, you need to ensure you get maximum benefit from networking. This book is here to help you do that. On every page you will find handy hints to help you succeed in business and networking. And there is also planners, suggestions and ideas to help you track and monitor your networking and ensure you take the right actions after every networking event. 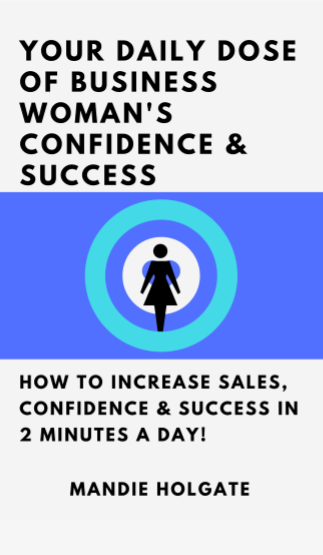 ​Being a Happy, Successful, Confident businesswoman is top of the wish list, but when you have a million and one jobs to do, how do you find time to develop yourself to get the results in your life you truly want? In less time than it takes to brush your teeth, let this powerful book boost your subconscious brain to work on your success all day, every day. With powerful ideas, raise awareness of what’s impacting on your success, confidence and Happiness, and get the results you want.